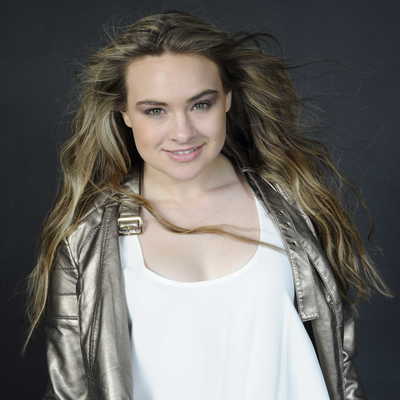 Jenifer Brening was born on December 15, 1996 in Berlin. She started to sing at an early age. Her talent was recognized quickly and she was encouraged to realize her dreams. As a "digital native" she discovered YouTube as her platform, of course, and published several cover versions of international hits. Inspired by musical role models such as Rihanna, Beyoncé or Christina Aguilera she developed her own and unique vocal style. Her fanbase grew and thousands of clicks were motivation and endorsement to go on. Numerous invitations for national and international casting shows followed. At the show "The winner is", which which was produced by legendary John de Mol for the popular German TV station Sat 1, Jenifer reached the finals. In December 2013 she released her debut single "Not That Guy" and won the category "Best Newcomer 2014" at the EMMAwards. In 2014 two more singles followed. In 2015 Jenifer released her first self-written single "ASAP" and straight away reached top placements at the national and international club and sales charts (iTunes and Amazon). With her second single which was released in January 2016, she topped this. "Miracle" got a lot of attention by several renovated radio and tv stations at home and abroad. The song was also nominated in the category "Pop" at the Hollywood Music in Media Awards and won an international music competition in Kazakhstan. By the end of 2016 the label KHB Music released her third single "Remember" and her long-awaited debut album "Recovery" followed soon thereafter. The album contains songs that Jenifer composed and wrote herself. 2017 also started very successfully. Jenifer Brening was invited by ARD, the German public boradcaster, to to perform an unplugged version of "Remember" at the "ARD.